CowAlert® is a continuous behaviour monitoring system for accurate heat detection and health monitoring. 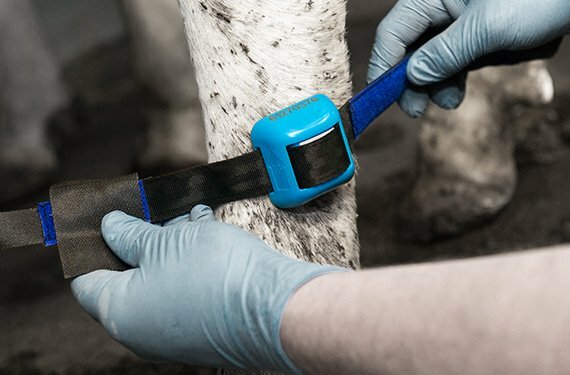 Not only does CowAlert help you detect cows in heat but it also monitors health and welfare issues by recording lying time and through a unique Motion Index that can identify cows with potential lameness issues or other health problems. CowAlert’s robust sensors are attached to the cow’s rear leg with a heavy duty fabric strap. The sensors collect data four times per second, collated into 15 minute segments, and can store up to four days of data in their on-board memory. Our patented power-saving technology provides a 5-year battery life.